Now, little change of topic and surroundings. I don't know about the weather in your city/country but in Poland its autumn time. It is quite fickle and sometimes unpleasant, however its very beautiful – when it's not raining. 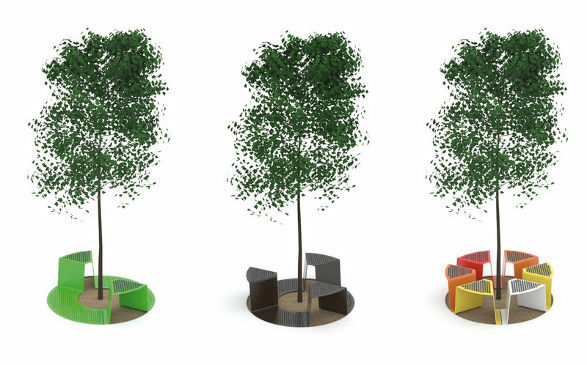 Colourful trees invite to go for a walk and the parks and promenades invite … to develop them a bit better. 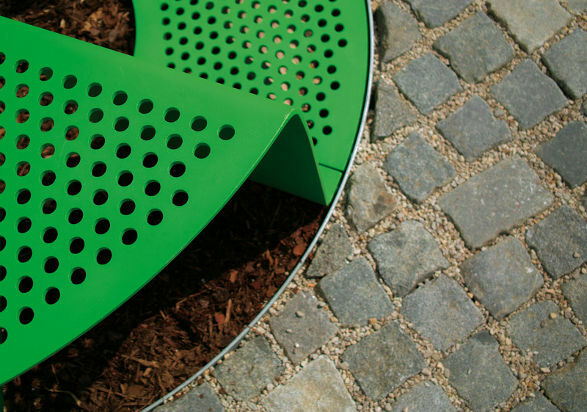 Below, you would find a nice concept of mmcité, design studio from Czech Republic, which specialises in designing elements of public spaces such as: bus and bicycle shelters, park benches, litter bins, ashtrays, bollards, tree grids, planters etc. The name is Sinus. 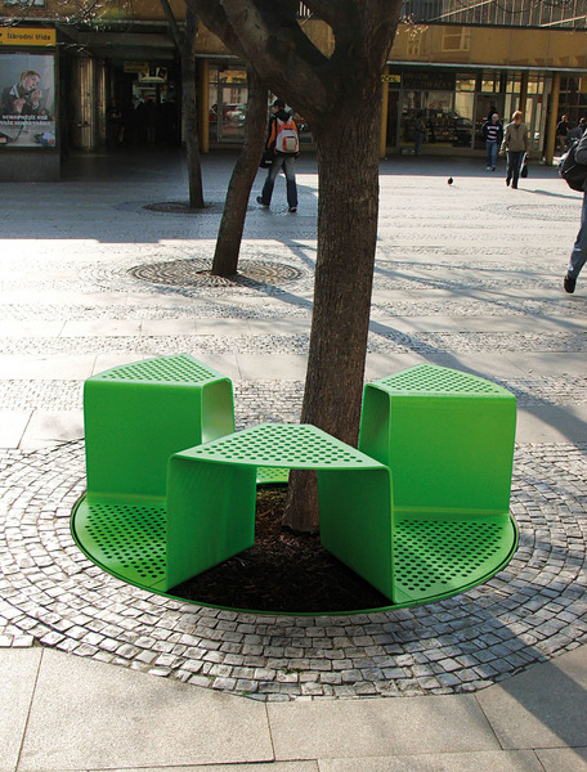 Designed by Roman Vrtiška a unique and entirely new concept of combined tree grid and seating elements is like a definition of word “multifunctional”. 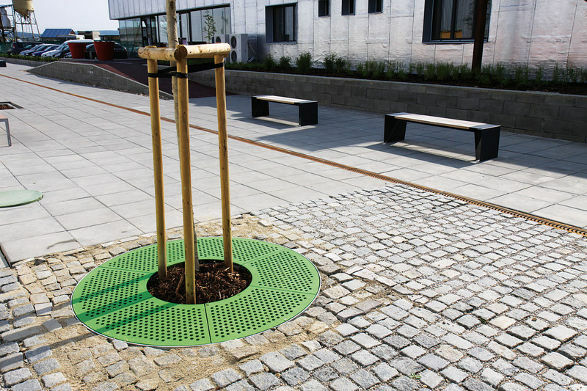 Seats, bicycle stands, and guardrails use surface grating without impeding the intended functions, giving the tree ample protection while people have more public space. The fresh and elegant shape was further developed in the successive Sinus benches line. 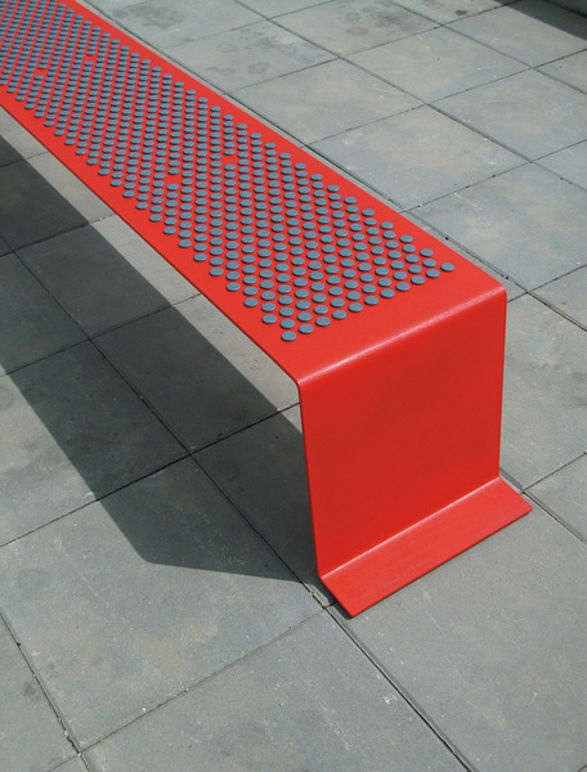 Sinus bench was created from a number of separate benches with an unmistakable expression. 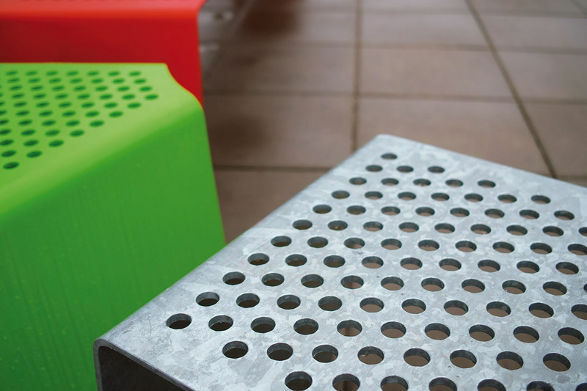 Strong steel plates easily bent on a slightly trapezoidal profile as in the case of the longest bench reinforced with an almost invisible rib rendering a totally solid shape. The dot perforation refers to the genuine aesthetics of the 1960s. 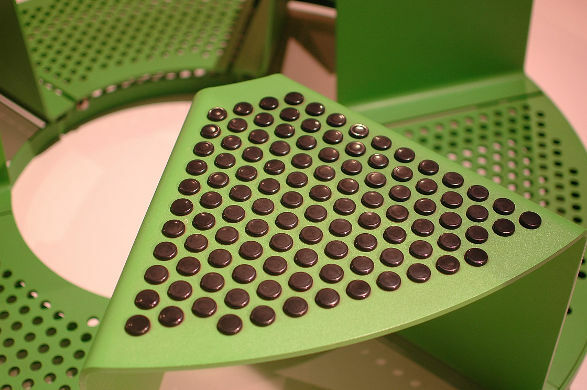 The combination of an unique seat pattern with plastic ’button pads’ thermally isolates the unpleasantly cold metal while providing the ultimate sitting comfort. 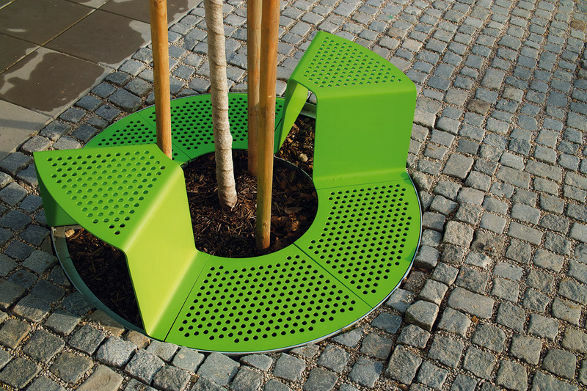 A subtle yet important detail is the option of having the bench optically “grow” right out of the pavement. 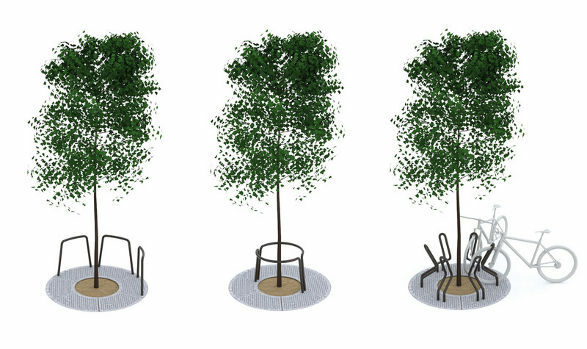 I'm sure the walk in any season would be much more pleasant with Sinus tree grids and benches in the city. Great designed foldable bike. Strida for commuters. Illuminant cobblestone Bruklux by K&K Products. The unique outdoor illumination. Best ideas for decorating walls. Express yourself.